I love nothing more than a creamy, cheesy casserole. When you strike the right balance between healthy vegetables and cheesy sauce it is a thing of beauty. 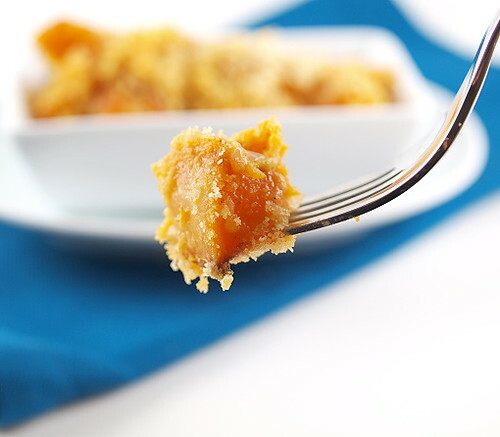 Butternut squash is my favorite winter squash. With a mild, slightly sweet flavor it is perfect for roasting, blending into soups, and baking into casseroles. The mild flavor also means that even those who swear they hate squash will probably love it … until you tell them it is squash. With that kind of crowd pleasing versatility I tend to keep some, all chopped up, in the freezer at all times. 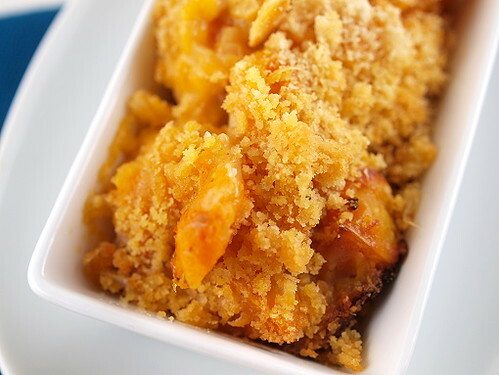 This recipe is based loosely on a summer squash casserole my mother makes. I decided to amp up the fall flavors with a light dusting of cinnamon, fresh nutmeg, and mace. Roasting the squash before baking caramelizes the natural sugars, so the dish has a lovely, lightly sweet finish. 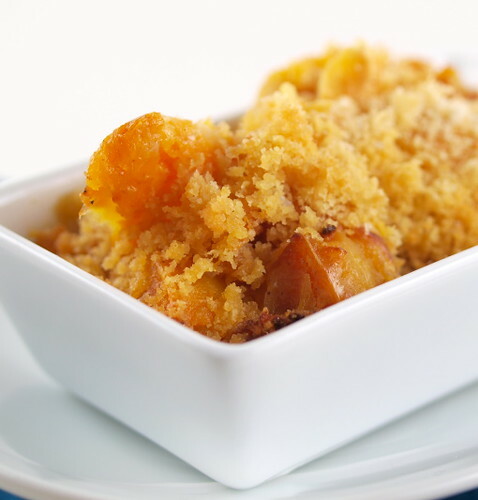 Sharp cheddar is my cheese of choice here since the tang cuts through the flavors of the spices and squash, keeping the dish from being too heavy. 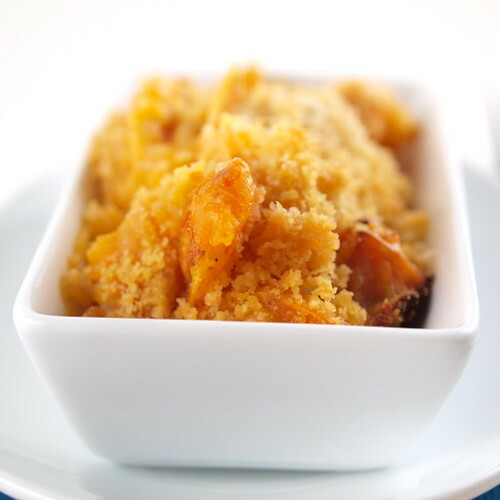 It is a lovely accompaniment to poultry or beef, and it can be made in advance! 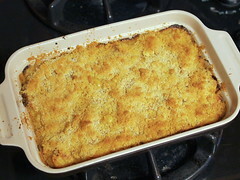 Prepare the dish up to the point where you add the breadcrumb topping. Just cover and chill for up to two days. When you are ready to bake just add an extra five minutes to the cooking time. Heat the oven to 400 F and line a baking tray with foil. 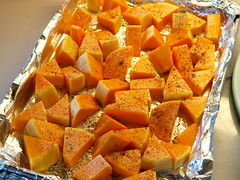 Place the diced squash on the prepared baking tray. Drizzle with oil and dust with spices. Toss to coat then roast for 50 to 60 minutes, or until fork tender. Allow to cool slightly. Reduce the oven to 350 F and spray a casserole dish with non-stick spray. In a medium skillet melt 3 tablespoons of the butter over medium heat until it foams. 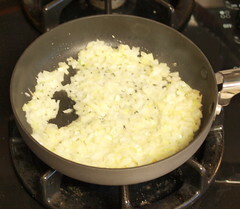 Add the onion and cook until softened, about three minutes. Add the garlic and cook for one minute more. Turn off the heat and allow to cool slightly. 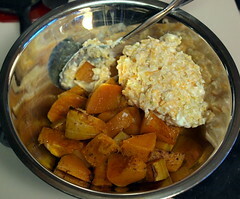 In a large bowl mix the sour cream, cheddar cheese, and salt until well blended. Add the onion mixture and mix until evenly combined. Add the roasted squash and turn to coat. Melt the remaining butter and pour it into a small bowl. 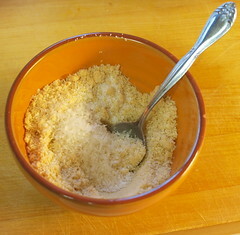 Add the cracker crumbs and grated Parmesan and stir to combine. 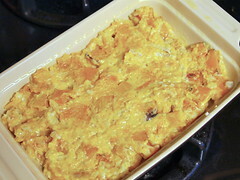 Pour the squash mixture into the prepared casserole dish. 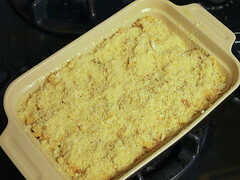 Top with the cracker crumb mixture. Bake for 30 to 40 minutes, or until golden brown and bubbling in the center. Rest for ten minutes before serving.